File photo: Deep Space Industries fuel processor. 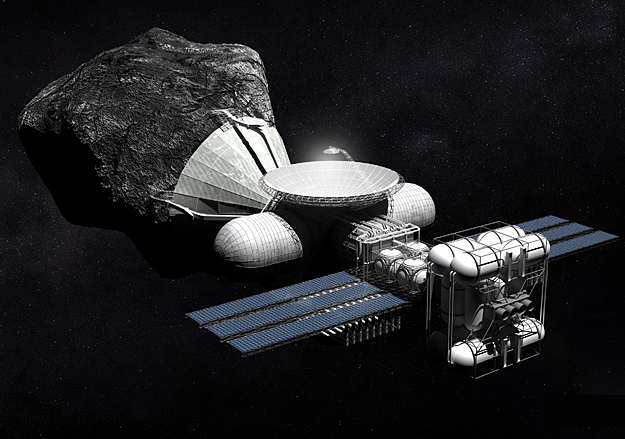 At this years AIAA Space 2014 conference a panel of experts from industry and government discussed Emerging Space: The Next Industrial Revolution. there are companies exploring revolutionary approaches to Earth observation, space manufacturing, and resource utilization of the lunar and asteroidal material. This panel will explore the broad sweep of possible applications as well as looking at how these companies could combine to form a new commercial space ecosystem. - Robert P. Hoyt, CEO & Chief Scientist, Tethers Unlimited Inc.
- Aaron Kemmer, CEO, Made in Space, Inc.